Located in the shopping center on Airport Rd. / Congress St. is one essential of life: clean clothes. While most people have this available in their homes, some in apartments / hotels have to go out. With the location easily accessible, the hours are also. Opening at 6:30 a.m., the close time is 10 p.m. What makes this a great location? You have a Redner's Grocery store / Family Dollar / Arby's / Convenience Store and more at the same location. Giving you the easy ability to park one place and multi-task! One thing I love about going here is free wi-fi. I usually get work done while waiting for the clothes. 2 TV's provide entertainment and information while you are there waiting also. The prices are not bad. 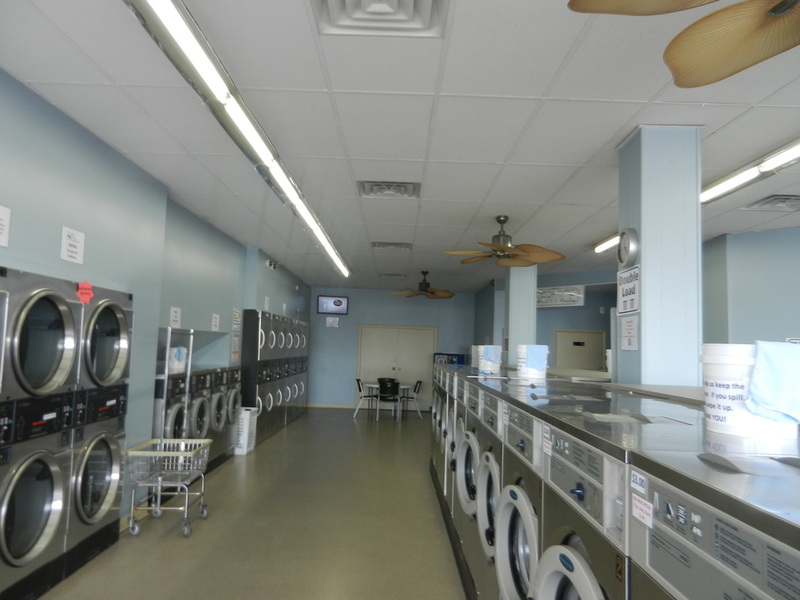 This month's special: $1.00 off double load washers Monday - Thurs. One last thing about the location: easily accessible from Route 22 and Union Blvd (see map). Unfortunately, I could not find a website / Facebook page for this business.